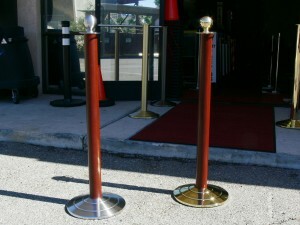 Boulevard Supply is a supplier of bank crowd control stanchions, bank lobby receptacles and custom check stands. We all know payday Friday can bring in the crowds and Boulevard Supply sells the equipment needed to control the crowd. From small local banks to large financial institutions, we have affordable bank equipment solutions to high-end luxury crowd control equipment for bank lobbies. Being green is important these days. Offering your banking customers a recycling option for their paper products instead of a trash can shows your financial institution cares about the environment and recycling. 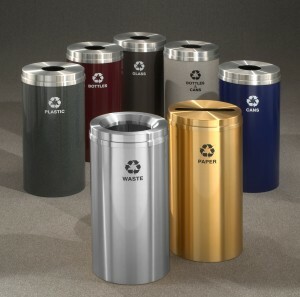 This makes an impression on green conscious customers and the younger generation.